BANGKOK Defense Secretary Leon Panetta said Thursday he knows of no other senior U.S. military officers being linked to the David Petraeus investigation that has ensnared the top U.S. commander in Afghanistan, Gen. John Allen. Speaking at a Bangkok news conference, Panetta said he retains confidence in Allen. Panetta said he is not going to characterize in any way the nature of emails and other correspondence between Allen and Florida socialite Jill Kelley, which others have called flirtatious and potentially problematic for the Marine general. Panetta said he wants to be careful with his words in order not to jeopardize the Pentagon inspector general investigation he ordered Monday. Panetta also told reporters that he could not rule out the possibility that the Taliban in Afghanistan would try to use Petraeus' admission of an extramarital affair with his biographer, former Army intelligence officer Paula Broadwell, for propaganda purposes. The FBI's investigation of the matter began last summer, when Kelley turned over emails, later traced to Broadwell, that had been sent to her and Allen. Officials tell CBS News the emails to Kelley told her to stay away from Petraeus. This was about the time Broadwell and Petraeus broke off their affair. Sources say that, when Petraeus learned Broadwell was sending harassing emails to Kelley, he asked her to stop. A federal law enforcement official tells The Associated Press that Broadwell sent emails to senior military officials in addition to Allen. The official characterizes the emails as an attempt to undermine the reputation of Kelley, who was friendly with Petraeus and Allen. The official, who wasn't authorized to discuss the case publicly, spoke on the condition of anonymity. CBS News correspondent Bob Orr explains that, in late summer, Kelley told then CIA Director Petraeus she had received at least six e-mails from Broadwell that she described as upsetting. Kelley, who saw the e-mails as a possible threat, had taken them to a friend, a local FBI agent, who helped her uncover the identity of the sender. Law enforcement sources now identify that agent as 47-year old Frederick Humphries. They describe him as a solid agent with a good history. Humphries is also a veteran counter-terrorism agent. Humphries took Kelley's complaint to the cyber squad in the FBI's Tampa field office. That move triggered the investigation that ultimately uncovered the affair of Broadwell and Petraeus and led to the probe of Allen. 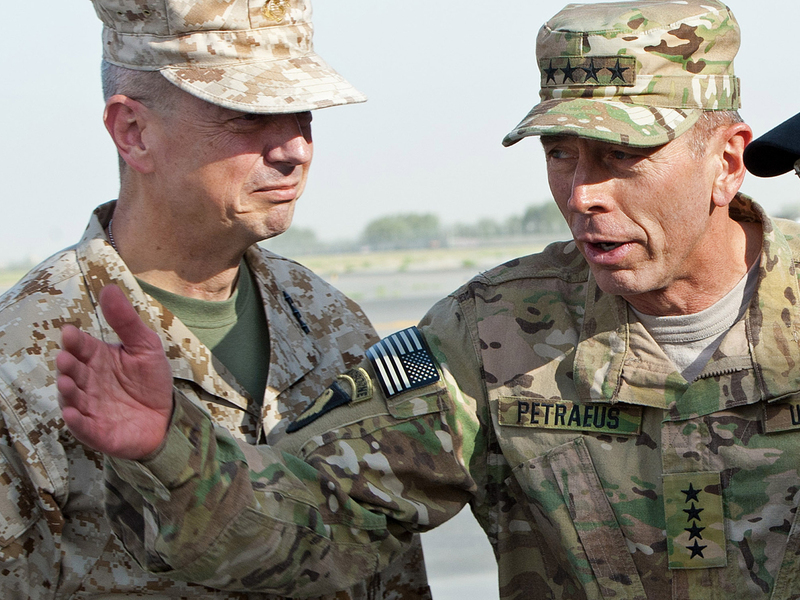 Petraeus, who resigned Friday from his post as CIA director, was Allen's predecessor as top commander in Afghanistan. Allen has been nominated by President Obama to lead NATO, but that nomination has been put on hold. At a news conference Wednesday, President Obama said no classified information was compromised in the scandal that forced Petraeus to quit after an FBI probe discovered the affair. The same FBI investigation uncovered the emails between Allen and Kelley, who hosted functions for U.S. Central Command in Tampa, where both Allen and Petraeus worked. Allen has said he has done nothing wrong and has not written anything to Kelley that would preclude his nomination. A search of Broadwell's computer turned up intimate emails with Petraeus and also revealed Broadwell may have mishandled some classified information that she'd collected for her book. But law enforcement officials say the investigation never uncovered a threat to national security. And FBI Director Robert Mueller told House Intelligence Committee lawmakers Wednesday that was the primary reason they were not briefed on the investigation. The FBI found a substantial number of classified documents on Broadwell's computer, and she has told agents she took classified documents out of secure government buildings. The bureau also found classified documents in the search of Broadwell's house Monday in Charlotte, N.C. Broadwell had agreed to the search and had told agents in advance that there would be more of them there.